WHO WOULD YOU TRUST TO ARRANGE YOUR FUNERAL? Not all funeral directors are the same, so it pays to do your homework! Don’t be deceived by the large funeral brand names advertised on a billboard, in the newspaper, on radio or in the media. Often, large publicly listed companies will use family brand names with their advertising, because they know consumers will be more inclined to trust them, and they often use the reputation of the family name. However, these brands don’t necessarily provide consumers with value for money. Their business model is driven by upselling, revenue targets and profits to corporate shareholders, not the interests of consumers. InvoCare, which operates under recognisable brand names such as White Lady Funerals and Simplicity Funerals currently enjoys a 40% market share and reportedly up to 80% on Australia’s profitable east coast. This is the same company that was fined by the ACCC in 2014 for false and misleading practices on the purchase of memorials for use at burial sites. 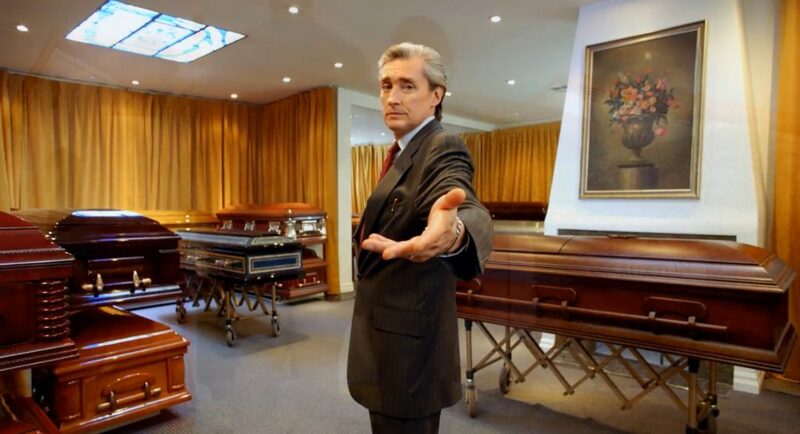 Propel Funeral Partners is another ASX listed company expanding its market share as it looks to spend millions of dollars acquiring more family owned funeral homes. Make the independent choice, the right choice! eziFunerals has partnered with some of the best family owned and independent funeral directors who are here to help you and your family before, during and after their time of need. Unlike the larger funeral brands owned by publicly listed companies, eziFunerals member directors are small family owned businesses and provide real value for money when compared to the large corporate brands. They work for consumers and not shareholders of publicly listed companies. Our members operate Australia wide including Sydney, Melbourne, Brisbane, Perth, Adelaide and Hobart. We work together to ensure that you and your family receive transparent information and the best possible standard of service at the most realistic cost. You’re in total control and will get peace of mind knowing they are supported by Independent funeral homes that are here to help you every step of the way. So make the right choice and get value for money by selecting an Australian, family owned and independent funeral home to conduct the funeral.